MIDAS REALTY GROUP is a Boutique real estate brokerage providing services throughout Southern California. As a Boutique firm, we offer our clients highly specialized services that address their specific real estate needs. Larger companies focus on market share by shuttling clients in and out of their doors. We provide a customer service based business model that is focused and specialized toward each client. We put our years of unique experience at work, to ensure our clients achieve their goals. As a result, our clients continue to rely upon us for their future real estate needs, and they feel comfortable referring us to their family and friends. As a client you will benefit from our initial needs analysis and the success plan we create with you. Whether you are an individual purchasing your first home, a family interested in selling a home, or an investor seeking help with liquidation of several assets, you will be fully engaged and aware of our marketing efforts and the work that is being done on your behalf. Midas Realty Group specializes in several niche areas for our clients (including probate real estate, short sale transactions, and traditional equity sales) but our success really comes down to marketing and negotiation. We utilize 25+ years of in-house marketing experience to get our clients the exposure they need; and we use our years of negotiation experience for results that make every client feel like a winner. Now that you know a little about us, contact Midas Realty Group today to discuss how we can help YOU achieve your real estate goals. Call us now at 800-546-2289. We will be happy to answer your questions right over the phone. You can also fill out your information on one of our online forms; or send us an email to info@midasrealtygroup.com and let us know when and how to contact you. Help is just a phone call away. You can rely on Midas Realty Group, because everything we touch turns to SOLD! Midas Realty Group was a blessing to my family! My father in law had past very suddenly and we had to endure the probate process, which resulted in us having to sell his house. Dawn instantly came in and helped us. While everything about our situation was stressful, she made selling the house so easy. She was such a help and worked directly with our attorney because she knew we were already stressed. Dawn sold my condo and the buyer was very complicated and Dawn was there and helped every step of the way! Got the best price for the sell. She does her research on other properties for sell in the area and makes sure she lists for the best possible price. She helped me sell and buy a property in the same year! My fiance and I have used Midas Realty Group a number of times. Once when I purchased my condo, and again when I sold the condo. We also used MIdas to list and sell his home and when we purchased the home that we are in now. It is a very no nonsense operation and all of our transactions came off without a glitch. We have recommended MIdas to a number of satisified friends and family members as well. Highly recommend Midas!!! The Community of Orange County, California is a relatively affluent county in Southern California. With a population of over 3 million, it the third most populous county in California, behind Los Angeles and San Diego Counties. Residents flock to Orange County to take advantage of the near perfect climate (warmer than San Diego and Cooler than Los Angeles and the Inland Empire). Orange County is the home of exciting professional sports Los Angeles Angels, Anaheim Ducks, a wide range of tourist attractions like Disneyland and Knott’s Berry Farm and quality venues for visual and performing arts like the Honda Center, Grove of Anaheim and the Segerstrom Center for the Arts . In addition, the county has several beaches along its more than 40 miles of coastline, and plenty of parks throughout it’s borders. 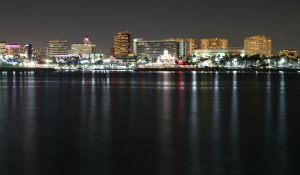 As part of the tech coast, Orange County boasts a thriving business economy and a well educated work force. Buyers of Orange County Real Estate have wide choices of single family homes, town houses, condominiums, and even mobile homes. Construction is still ongoing in may areas to keep up with the ever increasing demand of residential real estate. Midas Realty Group is here to assist home buyers and sellers achieve their real estate goals. We are experienced in short sale transactions, probate real estate, investment sales, and traditional equity real estate sales. 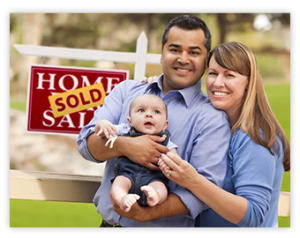 As home buyer representatives, we will assist in whatever type of residential real estate they wish to purchase. With flexible financing and homes for every budget, you can count on Midas Realty Group to help home buyers become homeowners. Riverside County spans over 7,208 square miles in Southern California. Riverside County lies inland of Los Angeles County and is bordered on the west by Orange County; on the east by Arizona; on the southwest by San Diego County; on the southeast by Imperial County; and on the north by San Bernardino County. The counties of Riverside and San Bernardino together are referred to as the Inland Empire. 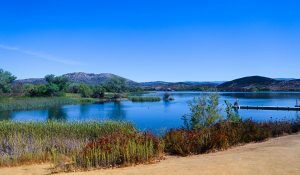 Riverside County is the fourth-most populous county in California and on of the the fastest-growing areas of the United States over the past fifty years. There is a high concentration of modern house tract communities around Riverside and along the Interstate 10, 15, and 215 freeways. Geographically, the county is mostly desert in the central and eastern portions of the county and is a Mediterranean climate in the western portion of the county. 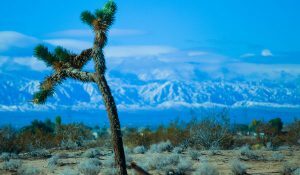 The resort cities of Palm Springs, Palm Desert, Indian Wells, La Quinta, Rancho Mirage, and Desert Hot Springs are all located in the Coachella Valley region of Riverside County. Large numbers of Los Angeles area workers have moved to the county in recent years to take advantage of relatively affordable housing. Buyers of Riverside Real Estate have wide choices of single family homes, town houses, condominiums, and even mobile homes. Construction is still ongoing in may areas to keep up with the ever increasing demand of residential real estate. Midas Realty Group is here to assist home buyers and sellers achieve their real estate goals. We are experienced in short sale transactions, probate real estate, investment sales, and traditional equity real estate sales. As home buyer representatives, we will assist in whatever type of residential real estate they wish to purchase. With flexible financing and homes for every budget, you can count on Midas Realty Group to help home buyers become homeowners.. The County of San Bernardino has an area of about 20,105 square miles, San Bernardino County is the largest county in the United States by area, and it is larger than each of the nine smallest states, larger than the four smallest states combined, and larger than 71 different sovereign nations. Combined with Riverside County, the areas are commonly referred to as the Inland Empire. Buyers of San Bernardino Real Estate have wide choices of single family homes, town houses, condominiums, and even mobile homes. Construction is still ongoing in may areas to keep up with the ever increasing demand of residential real estate. Midas Realty Group is here to assist home buyers and sellers achieve their real estate goals. We are experienced in short sale transactions, probate real estate, investment sales, and traditional equity real estate sales. As home buyer representatives, we will assist in whatever type of residential real estate they wish to purchase. With flexible financing and homes for every budget, you can count on Midas Realty Group to help home buyers become homeowners. Los Angeles County, also known as L.A. County, has a population in excess of 9,818,605, making it the most populous county in the United States. Los Angeles County alone is more populous than 42 individual U.S. states. 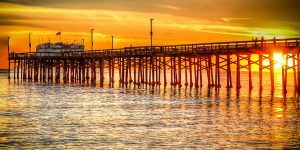 Los Angeles County also includes two offshore islands, San Clemente Island and Santa Catalina Island. LA County is home to 88 incorporated cities and many unincorporated areas. By size, it is larger than the combined areas of the states of Rhode Island and Delaware. The county is home to over a quarter of all California residents and is one of the most ethnically diverse counties in the country. Buyers of Los Angeles Real Estate have wide choices of single family homes, town houses, condominiums, and even mobile homes. Construction is still ongoing in may areas to keep up with the ever increasing demand of residential real estate. Midas Realty Group is here to assist home buyers and sellers achieve their real estate goals. We are experienced in short sale transactions, probate real estate, investment sales, and traditional equity real estate sales. As home buyer representatives, we will assist in whatever type of residential real estate they wish to purchase. With flexible financing and homes for every budget, you can count on Midas Realty Group to help home buyers become homeowners. San Diego County is a county located in the southwestern corner of the State of California. 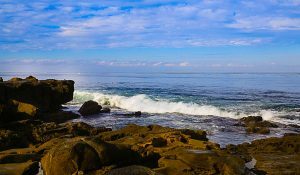 It is the south-westernmost county in the 48 contiguous United States, and San Diego County has a population of over 3,095,313 people, making it the second most populous county in California, following Los Angeles County. San Diego County has 70 miles of coastline. Most of the county has a mild Mediterranean climate to semiarid climate, though there are mountains that receive frost and snow in the wintertime. We have 16 naval and military installations of the U.S. Navy, U.S. Marine Corps, and the U.S. Coast Guard in San Diego County. These include the Naval Base San Diego, Marine Corps Base Camp Pendleton, Marine Corps Air Station Miramar, and Naval Air Station North Island. From north to south, San Diego County extends from the southern borders of Orange County and Riverside County to the Mexico–United States border and Baja California. From west to east, San Diego County stretches from the Pacific Ocean to its boundary with Imperial County. Buyers of San Diego Real Estate have wide choices of single family homes, town houses, condominiums, and even mobile homes. Construction is still ongoing in may areas to keep up with the ever increasing demand of residential real estate. Midas Realty Group is here to assist home buyers and sellers achieve their real estate goals. We are experienced in short sale transactions, probate real estate, investment sales, and traditional equity real estate sales. As home buyer representatives, we will assist in whatever type of residential real estate they wish to purchase. With flexible financing and homes for every budget, you can count on Midas Realty Group to help home buyers become homeowners.